Wrinkles around the nose and mouth can begin to form as early as in our 20s to 30s. This is due to volume loss in the face and the depletion of natural substances found in our bodies, including collagen, elastin, and hyaluronic acid. Dermal fillers help replenish this lost volume and smooth out wrinkles. The treatment is quick, easy, and requires no downtime. No wonder dermal fillers are one of the most popular anti-aging treatments on the market today! Learn more about the dermal fillers we offer at Bridgetown Aesthetics below. Then, contact us in Portland, Oregon, to request a consultation! Dermal fillers, also known as injectable fillers, are soft-tissue injectables that are primarily used to help minimize the appearance of fine lines and wrinkles on the face. Additionally, they can be used to add youthful volume and contour to the face, most frequently in the lips and cheeks. At Bridgetown Aesthetics, we also specialize in hand rejuvenation with dermal fillers. 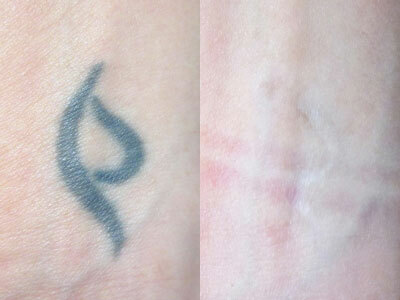 In this procedure, we use dermal fillers to add volume to the back of the hands where volume is often lost with age. Hand rejuvenation with dermal fillers helps diminish the appearance of overly prominent tendons, bones, and veins. Composed of collagen and PMMA microspheres, Bellafill is for the treatment of smile lines (nasolabial folds) and acne scars. It can reduce smile lines for up to five years and acne scars up to one year. Also known as Belotero Balance, this dermal filler is designed to help improve the appearance of moderate to severe facial wrinkles, including vertical lip lines, while maintaining natural facial movement. As with all fillers, results will vary from patient to patient, but, in general, Belotero’s results last up to six months. One of the most popular hyaluronic acid fillers on the market, Juvéderm is designed to help correct the appearance of moderate to severe smile lines, marionette lines, and vertical lip lines for up to one year. Voluma is part of the Juvéderm family of fillers. It is designed to help combat volume loss in the midfacial area and cheeks for up to two years. Composed of calcium hydroxylapatite microspheres, Radiesse is a filler that not only improves the appearance of moderate to severe lines and wrinkles around the nose and mouth for up to a year, but also stimulates the body’s natural production of collagen. It can also be used for hand rejuvenation. In order to understand the difference between dermal fillers and botulinum toxins, such as Xeomin and Botox, it is important to understand the difference between static and dynamic wrinkles. 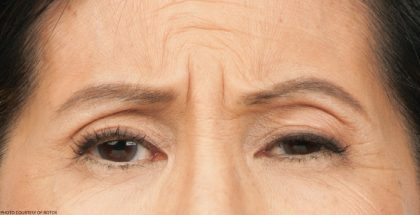 Static wrinkles are lines and folds on the face that are present even when the face is at rest. As we get older, the body begins to lose naturally produced substances that keep the skin smooth including collagen, elastin, and hyaluronic acid. Some common static wrinkles include smile lines, marionette lines, vertical lip lines, and chin wrinkles. 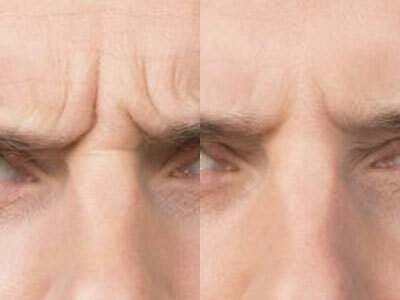 Dynamic wrinkles are wrinkles that form due to repetitive muscle contractions. 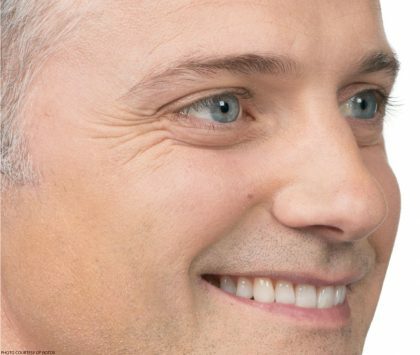 Muscles in our face contract when we make expressions, including frowning, smiling, and laughing. 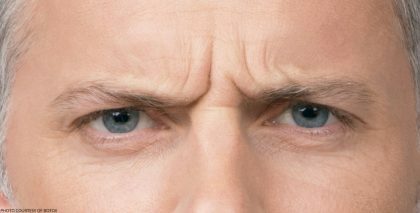 Some common dynamic wrinkles include crow’s feet, frown lines, and horizontal forehead lines. Dermal fillers add volume underneath the skin to effectively diminish the appearance of static wrinkles. 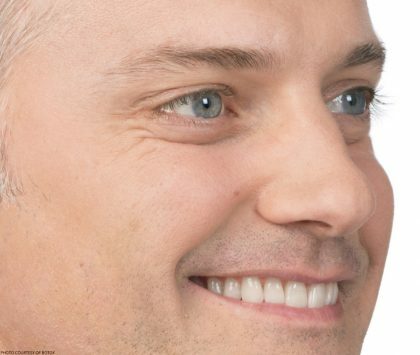 However, completely erasing the presence of these lines, especially smile lines, can make the face appear unnatural. That is why it is important to only have dermal fillers performed only by an experienced, board certified, board-certified surgeon, like Dr. Hayes. Dr. Hayes performs all injectables personally. Botulinum toxins, including Botox and Xeomin, are primarily used to address dynamic wrinkles around the forehead and eyes. They work by temporarily suspending communication between muscles and nerve impulses. This won’t make the face appear frozen, but instead relaxed and at ease. 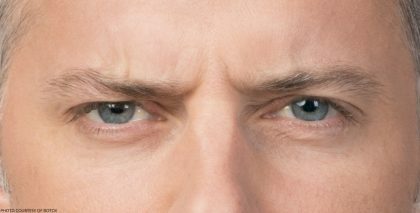 It is a popular treatment for patients who find that the lines around their eyes make them appear constantly tired or angry. Dermal fillers and botulinum toxin injections are safe to perform at the same time. Good candidates for dermal fillers may be patients who are experiencing moderate to severe volume loss in their face or hands. As a result, they may have hollow-looking cheeks, thin lips, or prominent lines and wrinkles. Their hands may also appear sunken and hollow in between the fingers. In order to be considered a candidate for dermal fillers, patients should be nonsmokers, in good health, and have realistic expectations of their results. Both men and women can benefit from dermal fillers. The majority of our dermal filler patients are in their 30s to 60s, but any adult concerned with their appearance is welcome to come in for a consultation. During the consultation, board-certified cosmetic surgeon Dr. Hayes will meet with the patient personally to determine the best treatment to help them achieve their goals. Contact our office in Portland, OR, to request a consultation. Dr. Hayes performs all dermal filler injections personally. Patients who are deemed good candidates for dermal fillers during the consultation will have the opportunity to schedule an appointment for treatment. Dermal filler appointments typically take about half an hour, depending on whether or not the patient wants the injection locations numbed and the number of areas being treated. When the patient arrives, their face will be cleaned thoroughly. Then, Dr. Hayes will mark on the patient’s face exactly where the dermal fillers will be injected. If the patient is having injections on their hands, then they will be asked to wash their hands, and then Dr. Hayes will mark where the fillers will be injected. Most people find dermal filler treatment tolerable. However, if the patient wishes, they can request the injection sites to be numbed with ice or a topical anesthetic. Patients interested in a topical anesthetic should notify our team prior to arriving for their treatment. The injections typically take 15-20 minutes, depending on the number of areas to be treated. Following treatment, Dr. Hayes may massage the areas slightly to ensure proper coverage. Afterwards, patients are free to return to work or their normal routine. If they’d like, they can apply light makeup around the injection sites. 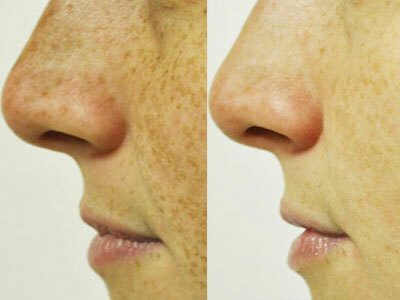 There is no downtime required following dermal filler treatment…Patients are free to return to their normal routines. However, they should avoid sun, alcohol, and strenuous exercise for 24 hours. The most common side effects of dermal fillers are bruising, swelling, redness, and itching around the injection sites. This should dissipate over the course of a few days. If it persists or gets worse, please contact our office. In general, fillers typically last six months to two years. Depending on the dermal filler, results will be noticeable about one week following treatment. However, the effects of dermal fillers are not permanent, as the product will naturally be absorbed by the body. In order to maintain results, patients should come in for future injections, which may require less product. The durability of the treatment will depend not only on the type of filler, but also where it is injected. 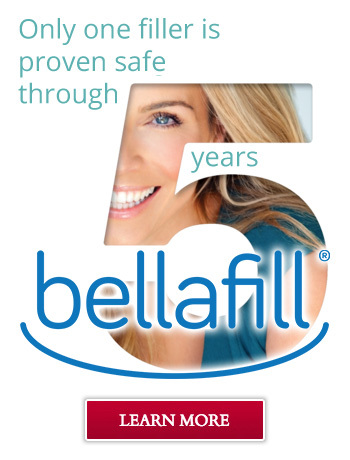 Bellafill is currently the longest-lasting dermal filler on the market. It can be used to diminish the appearance of nasolabial folds for up to five years and acne scars up to one year. Dr. Hayes is a certified Bellafill injector trainer. Feel free to ask about candidacy for Bellafill at the time of the consultation. Patients new to injectables or new to Bridgetown Aesthetics are asked to come into our office for a consultation prior to scheduling an appointment. Dr. Hayes meets personally with patients to listen to their concerns and goals. He will then analyze the patient’s facial anatomy and movement to determine the best treatment to help them achieve their goal. We offer our Portland patients a variety of injectables to meet their individual needs. Patients may be interested in combining their dermal filler treatment with other injectables for enhanced effects. 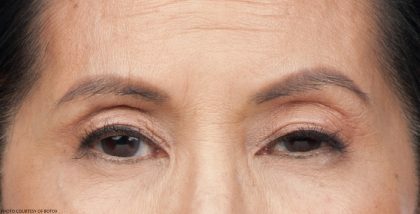 Botulinum toxins are commonly performed with dermal fillers because they can help counteract the appearance of dynamic lines around the eyes and forehead. They can also be used to treat issues like excessive sweating and vertical neck bands. 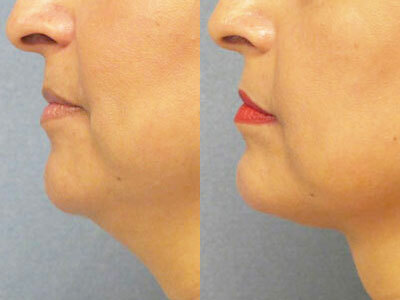 Kybella is for the treatment of submental fullness, more commonly known as the double chin. Another popular injectable that we offer is Kybella, although it does not address wrinkles. 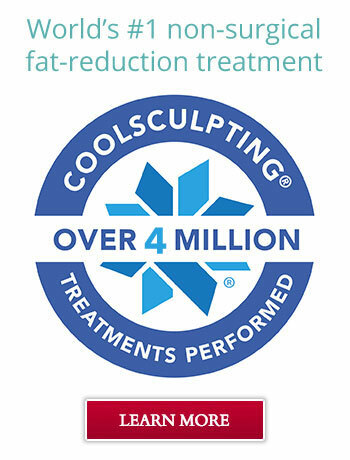 It is a non-surgical alternative to liposuction for fat reduction under the chin. This neck-contouring procedure requires a series of treatments, and patients will begin to see results in approximately six months. It is commonly performed in conjunction with dermal fillers or Botox for comprehensive face and neck rejuvenation. Please feel free to ask about any of our injectable treatments, or any other service we offer, at the time of the consultation. Once the doctor and the patient have created an agreed-upon treatment plan, Dr. Hayes will be able to provide the patient with a price estimate. 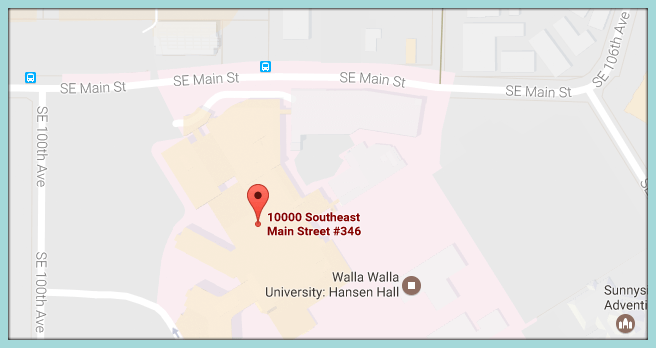 Contact Bridgetown Aesthetics in Portland, OR, to request a consultation today.